If a picture is worth 1,000 words, then fire up your laptop and tap into this Google Earth video of wind farms from above. Amongst the wind farms highlighted, satellite footage takes the viewer from Egypt to Australia, from India to China, from Denmark to Spain, from the UK to Canada to the US. So, click on the video below and enjoy your virtual flight. And, just like wind power, it’s a no-carbon trip. Wind turbines can adversely affect human health, or so the press and various reports claim from time to time. From noise to shadow flicker affects when it’s bright outside, wind farms have been subject to criticism from those who claim turbines have a negative impact on human health. These arguments are then absorbed and spread by anti-wind groups. But do these claims have any scientific evidence to support them? A new study published by the Australian National Health and Medical Research Council thinks not. “There is currently no published scientific evidence to positively link wind turbines with adverse health effects,” it says on its website. Even the World Health Organisation (WHO) says there is no “reliable” evidence to support the claim that turbines have a negative effect, according to the study. Wind power’s little known ability to save precious amounts of clean drinking water in an increasingly thirsty world, when compared to other sources of electricity generation, was raised this month in Science in Africa, the continent’s first online scientific magazine. 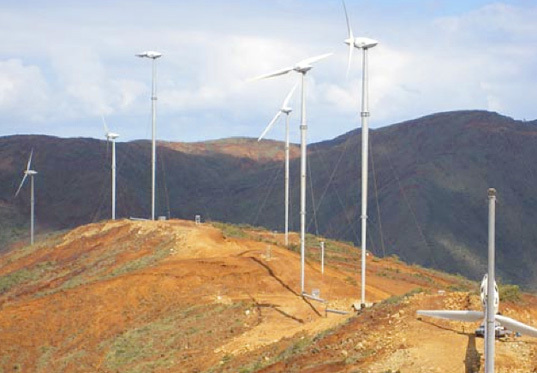 Written by Dr. Garth Cambray, the article noted wind farms are capable of providing a number of benefits for South Africa as the country begins to look to renewable energies to help meet a growing need for electricity in the next few decades. 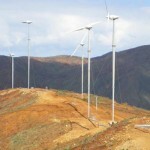 Cambray said that wind power consumes no water, which is increasingly an important subject in South Africa. “Installing 30,000 MW of wind power would save the amount of water used by a city of 300,000 people. Given that South Africa has currently technically run out of water and cannot guarantee each citizen their constitutional right to clean running water, this saving of water is very important from a human rights perspective,” he said. Echoing EWEA’s campaign to support wind energy, Greenpeace have launched a campaign calling on people to ‘give earth a hand’. See here for their video, and sign-up to their pledge for an energy revolution here. The quickly developing offshore wind power sector may soon be opening an exciting new chapter with the news that Scotland wants Norway’s largest energy corporation to use its waters to develop the world’s first floating wind farm. 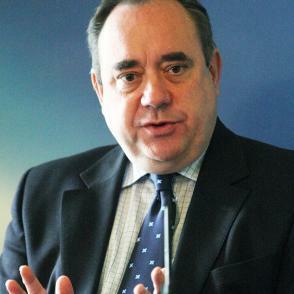 Scottish First Minister Alex Salmond met Statoil officials last Monday to discuss a proposal by the company to commercially test its Hywind floating turbines in deep water either off the coast of Lewis or Aberdeenshire. A government of Scotland press release noted Statoil has already constructed a full scale 2.3 MW prototype Hywind unit, anchored 10 kilometres offshore at Karmøy in Norway, in waters up to 200 metres deep.